Tananarive Due, author of The Living Blood (F0061) won the American Book Award and is praised as Stephen King's equal by Publishers Weekly. 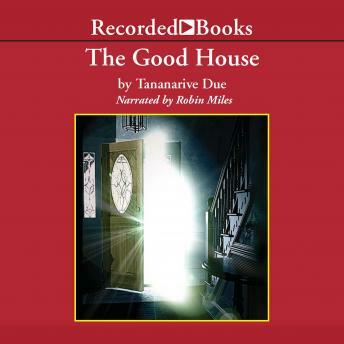 In The Good House, Due sets a story of ancient powers and modern retribution in a small Pacific Northwest town. When a young woman returns to her grandmother's empty mansion, she is pitted against demonic forces that have poisoned her family for generations. This has been a very interesting book. It wasn't what I had expected, but I really liked it. It had a very good ending. You have to pay close attention to what's going on. The ending is what really surprised me. I like the book. Great narrator. She did all the characters well!